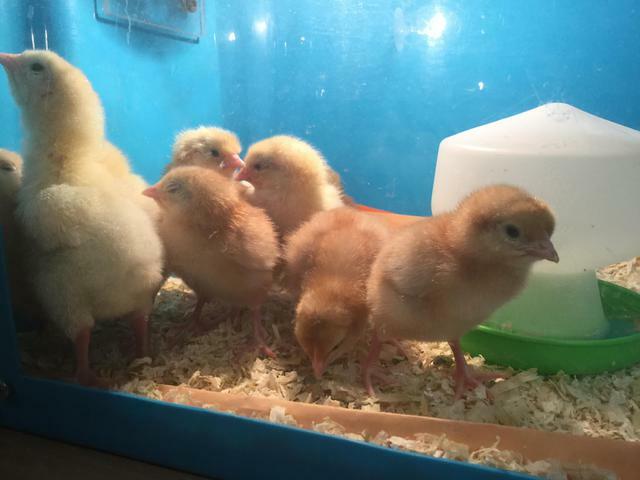 Day 2 after hatching: The chicks are growing so fast. They are now beginning to grow feathers and are trying to spread their wings a little more. They grow taller by the minute! They are fed twice a day and need lots of water. They huddle under the light to sleep and peck around in the sawdust for food when they are awake. This weekend they will be taken home and looked after by Mrs Kent.